28th January 2017 at 10 a.m.
Two lists were circulated for apologies and those in attendance. 29 people present. 5 apologies. Brian Dawson welcomed everyone to the meeting. Each person present introduced themselves. We had new members who indicated that it was their first meeting. Everyone stood in tribute to them and to remember their families. 2. Minutes of Meeting held on 30th January 2016. These were published in Quo Vadis? Kathryn Hough proposed and Eldon Mackridge seconded that the minutes be accepted. They were accepted unanimously by the meeting. Brian asked for notification of any A.O.B. items. One item was given. Treasurer Russell George gave a balance sheet and a written report. It was suggested that people read the written report first. Russell took over as treasurer in 2016. There were initial problems with the bank and with receiving bank statements. In June, there was a surplus income of £1,400 which was down on the previous year. Membership had gone down, but the sale of goods increased. The biggest expenditure is producing and posting Quo Vadis? This year shows a 29% increase in costs. We have 3 bank accounts: a current account, a savings account and a social account. The amount in all the accounts shows an increase. The stock of goods is now separate. We are in a good state financially and are controlling costs. Credit was given to the Quo Vadis? team: Editor Katharine Arzul(who lives in South Africa), Colin Jones who produces the labels, and Geoff De’Ath who puts the magazines in envelopes and posts them. Thanks were extended to all the team. Funding for Quo Vadis? is by events such as the raffle at the presentation dinner and sale of goods, so that we do not have to increase membership fees. The treasurer encouraged people to buy goods (e.g. mugs, sweat shirts, scarves etc.) which would be on sale near Reception on Sunday morning. This is also a way of promoting the Association. Route Advisor Chris Hatton, said that there have been more people asking for information this year, and more route packs had been bought. There were no questions. QV Editor / Web Editor Katharine Arzul produces and sends the magazine from South Africa. The website has done well. The demise of the commercial “Lejog Club” has helped. Katharine will stand down as editor and hand over to someone else in 2019. Anyone interested, please speak to Brian Dawson. No questions. 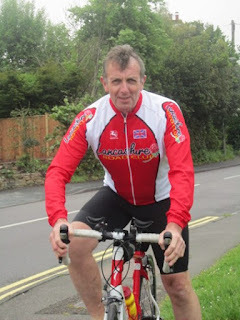 Social Secretary Jack Adams said he has some books by Charlie Hankins who had done LEJOG in a wheelchair. He was an ex-military man who had no legs. Jack recommended the books and said he would be selling them if anyone wanted one. More information was given about Charlie Hankins by a Geoff De'Ath who attended his funeral. No questions. 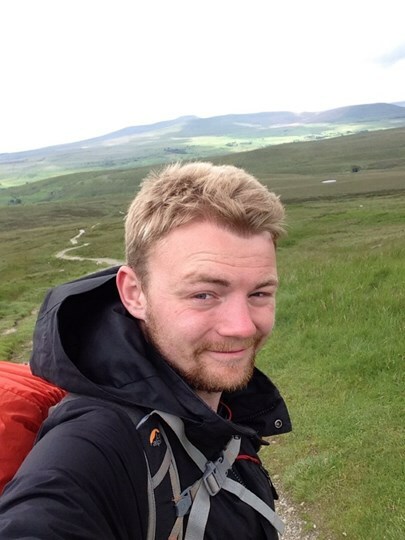 Membership Secretary Adrian Cole was not present and sent apologies as his son, Henry, was doing his Duke of Edinburgh award this weekend and Adrian had to take him to Brecon Beacons and then collect him on Sunday. Brian gave his report. The figures for membership improved during 2016. There were 10 more first-time members than in 2015. Modes of travel were in the report which was distributed and attached to minutes. It was stressed that no way of travelling is better than others. No questions. Chairperson Brian Dawson said that there is a new walkers’ route being established to avoid walking on the A9. The Association will be informed when it is ready. There are some changes of officers: Jack Adams is stepping down as Social Secretary. Eighteen years ago, he became Route Advisor; he was then Social Secretary and Vice Chair and Chair. Thanks were given to Jack for all his hard work and also thanks to Ann in previous years and now to Theresa for their support. Eldon Mackridge will take over from Jack as Social Secretary. Cliff Harrison is stepping down from the committee. He has made clocks over the years to present to members on special occasions, and also sends Christmas cards with LEJOG badges etc on them and also on the envelopes, thus promoting the Association. Thanks were expressed to a “superb ambassador”. Cliff said that his support will still continue. Subscriptions. Brian asked that everyone pays subscriptions on time, and to keep costs down we will be asking that they be paid by Standing Order in future Also we were asked to tell people about the LEJoG Association and channel any queries to Chris Hatton. No questions. The Committee thinks we should expand our communication channels. The present Web Editor is Katharine Arzul who is also Quo Vadis? Editor. Karen Bower and Ian Holmes have offered to work together on IT if agreed at the AGM . The Team will report to the Committee on the setting up and maintenance of Social Media sites, including Instagram, Twitter, and Facebook. Brian handed over to Roy Walker for Election of Chair. Roy Walker proposed that Brian Dawson be re-elected as Chair. Chris Hatton seconded. It was agreed unanimously. Brian returned to chair the meeting. Route Advisor Nominee Chris Hatton. Proposed by Derek Bootyman, seconded by Steve Gibbs. Agreed unanimously. Treasurer Nominee Russell George. Proposed by Eldon Mackridge, seconded by Anne De’Ath. Agreed unanimously. Membership Secretary Nominee Adrian Cole. Proposed by Don Dyer, seconded by Russell George. Agreed unanimously. Social Secretary Nominee Eldon Mackridge. Proposed by Brian Dawson, seconded by Cliff Harrison. Agreed unanimously. The present committee, Tony Bagley, Don Dyer, Geoff De’Ath, and Kathryn Hough all agreed to stand for re-election. This was agreed unanimously, as was the inclusion of Neville Tetley. I.T. Team (NEW) (See also item 4) Nominees Karen Bower and Ian Holmes. Proposed by Russell George, seconded by Patrick Jordan. Agreed unanimously. Change of signatories: It was suggested that Eldon Mackridge be approved as an Authorised Signatory on the Association Accounts in the place of Jack Adams. Proposed by Brian Dawson, seconded by Jack Adams. Agreed unanimously. Chris Hatton asked if Paypal could be looked into as a means of paying, rather than cheques. This is already being used for route advice packs. It was asked if cheques could still be accepted as some people do not like paying online. Paypal will be looked into, but cheques will still be accepted. We were reminded that subscriptions were due on Jan 1st 2017. Steve Gibbs asked if there is any artwork available which he can use on his vehicle to promote the Association when doing his LEJOG journey. Stickers are available. Steve wanted something larger. Eldon Mackridge has a contact who does signs using LEJOG art work.. Steve will talk to Eldon about this. Chris has had questions from someone planning to do the journey on a 100cc Monkey Bike. He is planning to do the “4 points” and wonders if it has been done on a Monkey Bike before and what is the best time achieved? Answer: It has not been done in this way before. He asked if we can recommend a time? Answer: No as we have “Duty of Care”. Can we help with route? Answer: Yes; Steve can help as he has done 4 points by another means of transport. Brian said that the booking of next year’s Presentation Dinner has been made for the Saturday 27th January 2018. The hotel has said they could also offer 3rd Feb as they had a cancellation. It was agreed unanimously that 27th Jan 2018 is the preferred date. It was also agreed that we have a very good deal from the hotel. Arrangements for dinner tonight: Meet in Conway bar from 6.30p.m. so that we can be seated for dinner in the Arlington Room by 7.15p.m. Some formalities will be done before dinner is served to save time, as we have 14 trophies to present. Membership cards will be on the tables for those who have paid 2017 subscriptions. Russell George will be selling Association’s goods on Sunday morning opposite reception area and requested offers of help. Steve offered. Brian asked if there were any questions. It was asked if the Late Summer Weekend venue had been decided? Answer: Not yet. The committee will discuss it at their meeting immediately after the A.G.M. Any suggestions are to be given to them before that. Gifts for the raffle tonight will be welcomed. Please take them to the Arlington Room between 4 and 5p.m. The Meeting closed at 10:58 with thanks to all for attending. 2016 has been a busy year with much communication between Committee Members as we try to ensure that members (long-standing and new) are aware of how they can feel part of our unique membership. The full year of our new website address <lejog.org> and our Facebook page seems to have had a positive effect, and helped potential End-to-Enders. We intend to extend our communication efforts through Social Media, including Twitter and Instagram. To this end we have volunteers who are willing to set this up and manage it (See Item 4 on the AGM Agenda). 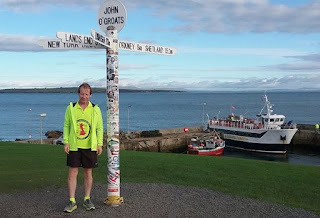 We have close ties with other like-minded organisations and the setting up of the John o’ Groats Trail in the Scottish Highlands will make it safer for walkers between Inverness/Dingwall and John o’ Groats rather then using the A9. Many sections have already been opened, and progress and completion will be advised so we can assist potential users. We have had some changes in Ofﬁcers and Committee Members, and I take this opportunity to pay tribute and offer grateful thanks to Jack Adams (Social Secretary) and Cliff Harrison (Committee Member) who are both stepping down after this meeting. I also thank the Committee Officers for undertaking visits to present Trophies to those Members who were prevented from attending the Annual Celebration at Torquay. The response from the recipients has been really appreciated. With rising costs for distribution of the Quo Vadis? we are always looking to ensure that we can keep this up. So far we have been able to achieve this and one further way to reduce costs is for those members who do not pay their Annual Subs by Standing Order to seriously think about doing so. This will be mentioned at the AGM. We have resisted the idea of increasing the annual subscription and hope that members not paying by this suggested way will consider changing to it in order to help the ﬁnances. As ever, I urge you all to be on the lookout for people who are considering doing the journey. Your passing them to our Route Adviser/Membership Secretary would be very helpful. Jeff handed over the Treasurer’s black executive briefcase to me after the last AGM, with the Association’s finances in a healthy state. It took a few more months for HSBC Bank to update their records and enable me to start receiving bank statements, but eventually I was up and running. We finished the year with a surplus of £1405.40, a little less than the previous year. The increased cost of QV? is due to additional pages (up 16% on the previous year), two editions exceeding the standard letter weight for postage, and increased postage costs. The total amount held across the Association’s three bank accounts has increased to £11,481.42. This arises from the year’s surplus of £1,405.40. I have made a small change to the presentation of merchandising stock, which is now shown as a memorandum item, outside of the balance sheet – this is because the Association traditionally charges all stock purchases to the Income & Expenditure account in the year of purchase. The merchandising stock is valued (at cost) at £1,266.17, which is slightly higher than at the previous year end. Despite sales of merchandise in the year and no further purchases of stock, the stock value has increased due to the discovery of a bundle of car stickers at the bottom of a box of sweatshirts. Most cyclists make decisions as groups with Cycling UK or Sustrans Route Information. There are several people trying to do an organised group run/running race. WOW! ( I found it hard enough walking in 2012) The John o' Groats Trail is gradually making it oh-so-much safer for walkers between Inverness/Dingwall & JoG than on the A9. However, it will be a while yet before it is a completed, continuous, off-road walking trail. The A9 is for motor vehicles, not cyclists or walkers. I’ve enjoyed talking to a lot of determined LEJoGers who were planning their big journey in 2016. A good plan will usually ensure a positive and enjoyable result! This year we returned to Wales for our late summer weekend. After a great deal of searching hotels, I settled on the Premier hotel at Llandudno; actually, it was a good 10 minutes' drive to Llandudno. While the hotel was clean and the food good, the service left a bit to be desired. After saying that, I think most people enjoyed the break. This year’s Presentation Weekend figures are down on our halcyon years but on the whole, not too bad. The social account now has a surplus due to the discount from the hotel and also due to the generosity of our president Mr Roy Walker and his wife Brenda who in the past have been forced to cancel a booking, but have donated the amount to the Association funds. Thank you, Roy and Brenda. This is my last official duty, as I am standing down after this meeting, but I would like to say what a pleasure it has been working alongside such a terrific bunch of volunteers. I am sure my successor Mack will receive the same support in his post as social secretary as I have. We publish three journal editions each year, in March, July and November. I email the file directly to our printer, Allen Fleming at A.F. Litho, who delivers the printed copies to Geoff De'Ath. Colin Jones prints the address labels; Geoff De’Ath puts everything together and posts them – truly a team effort. Geoff will provide the costs of printing, envelopes and postage to the Committee. I’d like to give the Committee two years’ notice that I will resign as editor after the winter issue of 2018. Of course, I will be available to assist the new editor as much as I can, and would like to continue to help the Association in the future. My best wishes to the Committee and Association for a happy and successful 2017. 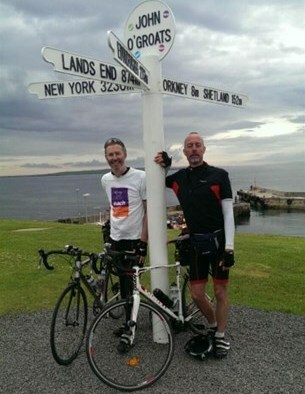 Andy Cooper of Leavenheath, Suffolk, and Nik Joplin of Holton St Mary in Essex, cycled LEJoG in 14 days in 2014 and raised ₤1,441 for East Anglian Children’s Hospice. Andy’s girlfriend dropped the two off at Land’s End in glorious sunshine but his low point happened on that first day when he fell off a sea wall, but carried on with scars to prove it! His high point was the kindness of a stranger in Glasgow who guided them out of the city. 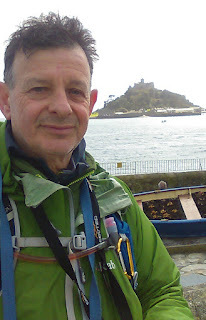 Andy then walked LEJoG in 2016 and raised ₤1,480 for Sesaw, an animal rescue centre. 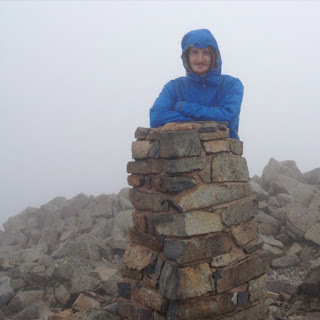 He covered 1,200 miles in 84 days, went through three pairs of boots, and said it was the wettest summer ever, and the midges bothered him from Yorkshire onwards! Lewis Flanaghan of Bedworth, Warwickshire, walked LEJoG in 65 days. He wrote, It had been a dream of mine to walk the length of the country since reading Mark Moxon’s book years ago. I used the walk to raise money for Birmingham Children’s Hospital, as they saved my little cousin’s life, and I raised ₤3,550. Unfortunately, my tent broke and terrible weather forced me to abandon my route through Glen Affric and the Western Highlands to walk hundreds of miles along roads using a road map I bought in a service station. However, I met some wonderful people along the way, and made friends for life. Kevin Clements ran and cycled JoGLE in September 2016 in memory of Sheila Barker, one of his running club managers. This year, he plans to complete the Three Peaks Challenge, and we wish him the best of luck! 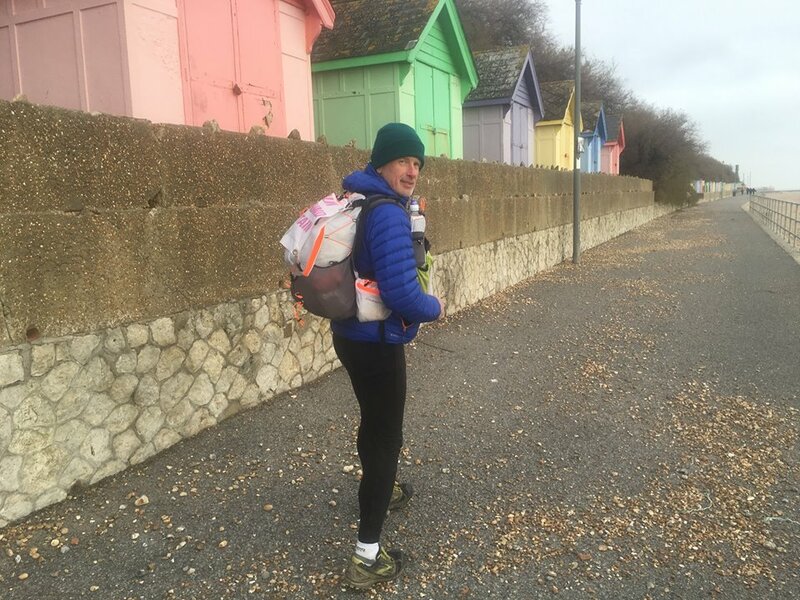 Simon Clark from Kinloss, Moray, is running 5,000 miles anticlockwise around the coast of Britain, raising ₤20,000 for Ecologia Youth Trust, and working as an architect as he goes. He writes, I started at Findhorn, just east of Inverness. 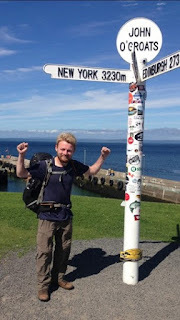 I left on 28th March 2016, Easter Sunday, arrived at John o’ Groats on 14th April, and reached Land’s End on 18th November after 2,757 miles. I was inspired by reading Rosie Swale Pope’s ‘Just a Little Run Around the World’ last Christmas. By the end of the book, I had planned this, and three months later, I left. From the 900 to 1,000 mile points, my shins were in agony. I changed my rucksack, and recovered. I’m loving the beauty of the coast, camping out, the constant support of people, being given beds to stay in, life on the road, and living more on my wits. 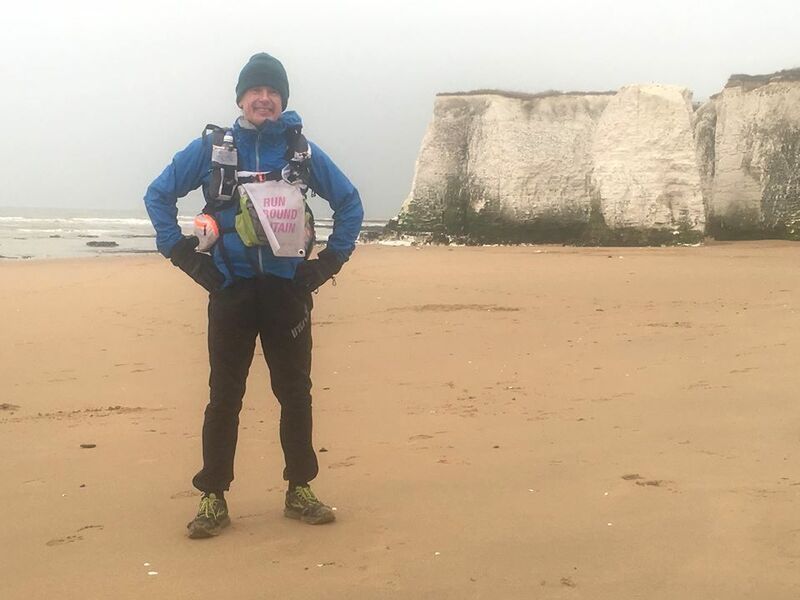 If you’d like to follow the rest of Simon’s journey, find him on Facebook and donate at virginmoney on Simon’s page: Just a Little Run Around Britain. You could also offer him a good meal or a bed for the night when he’s near you! 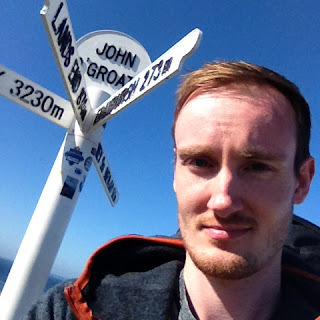 Tom Cartledge from Dormansland, Surrey, cycled JoGLE in June last year, raising funds for Alzheimer’s Society. He wrote, I felt that at the age of 52 I needed a challenge, and with this in mind I decided to ride from John o’ Groats to Land’s End. I completed my first 50 mile sportive in 2015, and on completion, I said I would never ride that distance again. However, I went ahead and organised a far bigger challenge covering over a hundred miles per day for nine days on my own. I decided to complete the journey alone as I just wanted time to myself. I had visiting support on some of the days but I mainly cycled alone. My main drive was the passing of my mother who suffered with Alzheimer’s. The worst day was Day Three: 132 miles with 85 of them in the driving rain! Other than that, I would do it again. Perhaps I’ll cycle south to north in 2017! 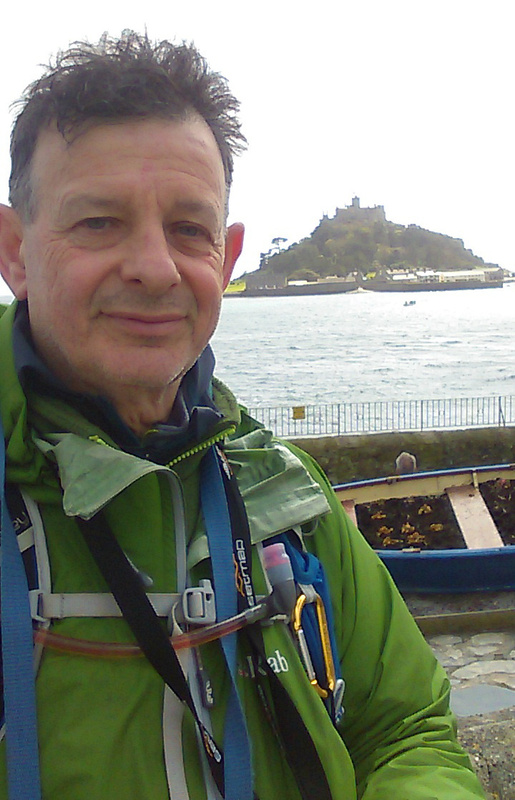 Barry Bloomfield of Hatfield Broad Oak, Essex, walked LEJoG via The Lizard and Dunnet Head in a 1.358 mile journey last year. He raised ₤3,200 for the NSPCC and Macmillan, and wrote, I was inspired 29 years ago by a tv film called ‘First and Last’ with Joss Ackland, and I resolved then to do it. It took that long to get three months free. On the Yorkshire moors I went off course and had to wild-camp due to night falling. At the very end of Dunnet Head I leant over the edge of the cliff to see puffins on the rocks for the first time in my life. There were loads of them, sitting there, and then riding the wind and floating, stationary - a fantastic view which truly lifts the soul. 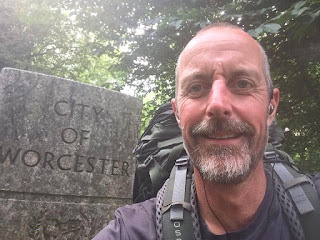 Tom Clancy of Cheltenham walked JoGLE in 96 days in aid of three mental health charities: OCD Action, OCD-UK and MIND. He aimed to change people’s perceptions of obsessive compulsive disorder as a mental illness, as well as supporting those suffering. 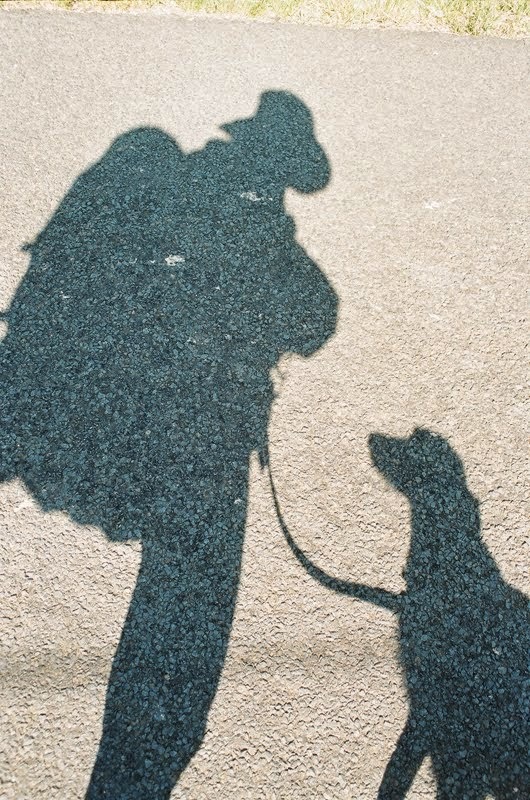 The story of his walk is told at ocdwalk.com. The first six days of the trip, on the road to Inverness, were the most painful days of his life, but he loved the amazing scenery and meeting great people, and enjoyed the fundraising, and receiving the messages that he was helping people seek help. We also welcome a New Associate Member: Paul Ellis of Lutterworth, Leicestershire, and wish him well with his end-to-end journey. 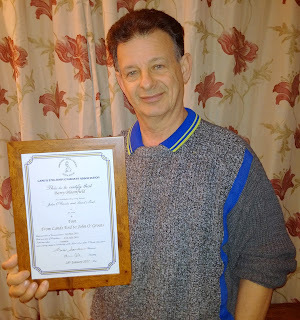 Martin Hill, who walked LEJoG last year, sent us this photograph with his certificate, at Adrian’s request. Membership Secretary Adrian Cole has celebrated his 100th blood donation at Southmead Hospital, and it’s his New Year’s resolution to get more people to step out of their comfort zone and make their first donation. Adrian, who is an Assistant Revenue Accountant at First Bristol Bus Company, started giving blood in 1989, following in the footsteps of his parents. After donating more than 23 litres of blood over 50 blood donations, Adrian switched to donating platelets to help children and adult patients who are unable to make enough platelets in their bone marrow as the result of leukaemia or other cancers, or their treatment. Each blood platelet donation can save the lives of up to 3 adults or even 12 children. Adrian, having given blood and platelets 100 times, has potentially saved or improved the lives of 1,200 patients. Out of the three per cent of the eligible population who give blood, just one per cent reaches 100 donations. The 90-minute procedure that Adrian does every three weeks involves the blood being withdrawn, mixed with anticoagulant to prevent clotting, and spun to separate the platelets. The remaining blood is then returned to his body. People can give blood as long as they are fit and healthy, weigh over seven stone 12 lbs (50kg) and are aged between 17 and 66 (up to 70 if you’ve given blood before). Those over 70 need to have given blood in the last two years. If you’re inspired to give blood you can find out more about platelets and local donation venues by visiting blood.co.uk. 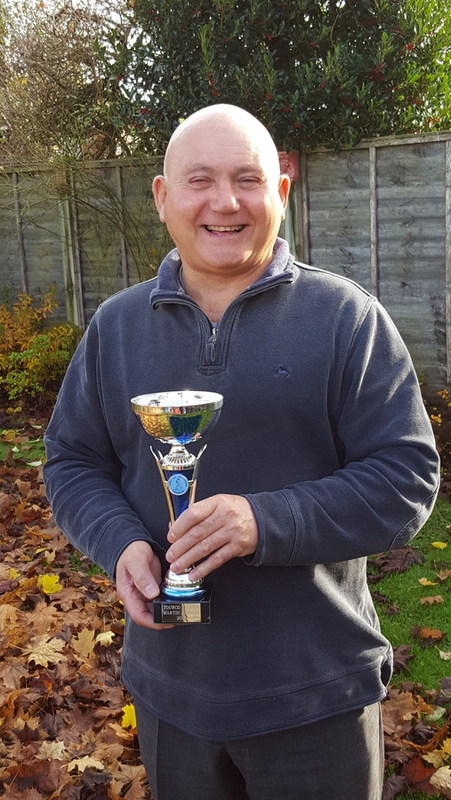 Association Treasurer, Russell George, visited Martin Johnson at his home in Sussex to present him with the replica Tourco Trophy for his trip in 2015. Martin was unfortunately unable to attend the Presentation weekend this year, as he will be at an Allied Veteran’s weekend event in Belgium, but he hopes to attend an Association gathering in the future.